Just released in paperback (22nd April 2016) and available from most bookshops and on Amazon. There’s a little wild in all of us, often requiring sanctuary, and a s you turn the pages, these stories may help you explore and find yours. 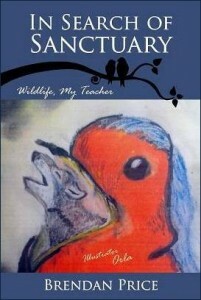 Brendan Price shares a treasure trove of nature tales in his new book In Search of Sanctuary: Wildlife, My Teacher. In the best tradition of storytelling, these timeless and universal tales will kick off conversations on important issues for the planet, offering glimpses of Dublin and Ireland, of centuries old and new, along the way. Come travel through the natural world with a pilgrim from childhood, parenthood, and mellowing years, through landscapes of the mind as familiar to the author as the early city suburbs, mountains, and sea, where he was rooted and grew, to centre in on man’s place in today’s world. 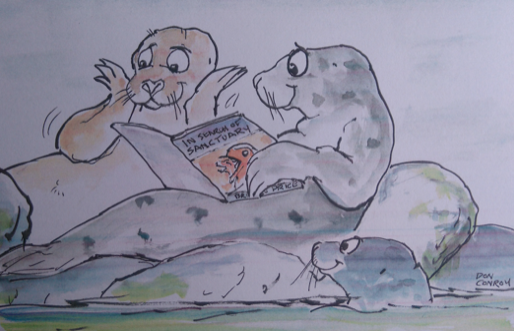 About the Author: A native of Dublin, Ireland, Brendan Price is the founder of the Irish Seal Sanctuary. 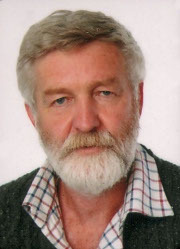 A ma rine biologist and wildlife advocate, the author was educated in the Newman tradition at Catholic University School and University College Dublin. He received a distinguished recommendation in the 2014 Hemingway Short Story Competition. He now lives in a quiet country village outside Dublin called Garristown, a atown steeped in folklore and history. This is his first book. “Our natural world is ever fascinating. Join Brendan Price as he tells grand stories about Ireland, old and new. We are thrilled to announce the book’s release,” said Robert Fletcher, CEO of Strategic Book Publishing and Rights Agency.